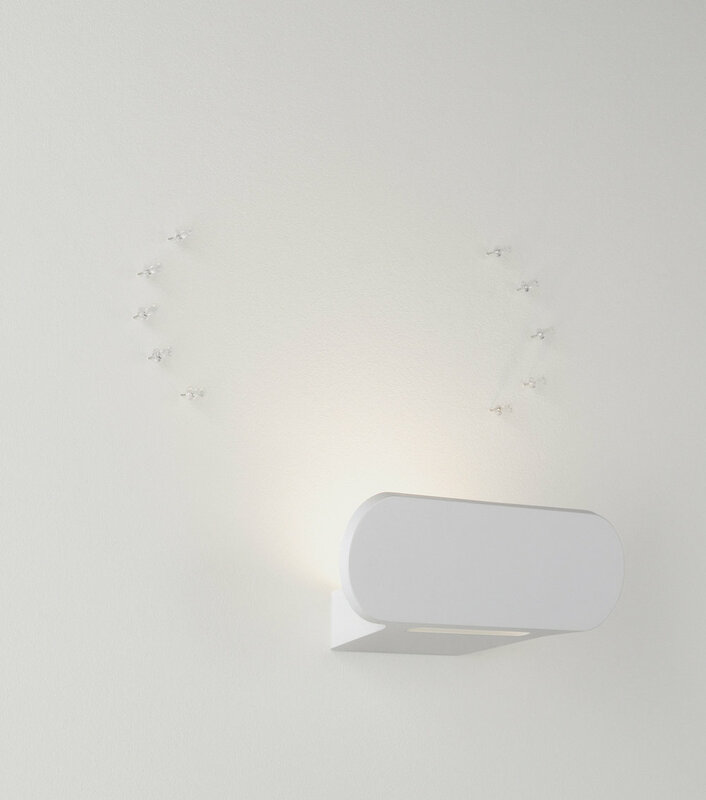 Wall lamp giving indirect light. Injected aluminium shade, enamelled white or silver grey. A slot in the bottom produces a tenuous light. Steel wall support in the same finishes. Incorporates fixing system and electrical connection.